He's got a plan! 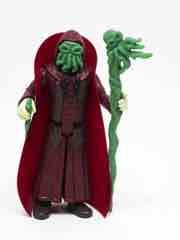 The masked Warpo Toys Legends of Cthulhu Cultist Action Figure feels like a lost Kenner release, right down to the vinyl cape. So read on, and come back tomorrow for more! 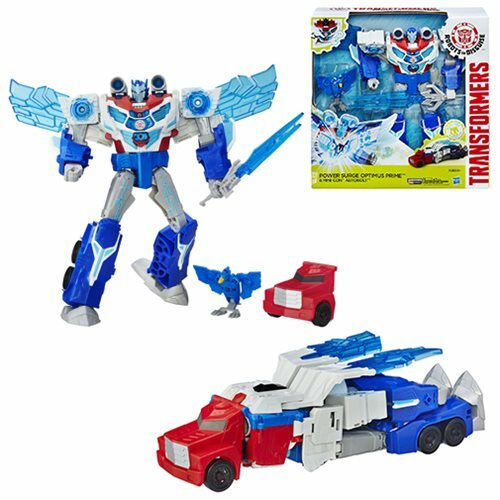 Ad: New Hasbro Marvel and Transformers In Stock at Entertainment Earth! The first-ever Tom Holland Spider-Man! 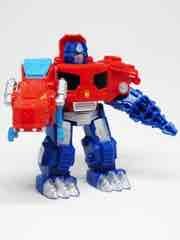 Powermaster Optimus Prime! 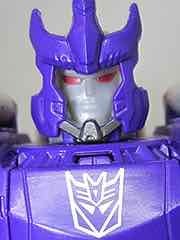 Galvatron! All this and more can be yours, with free shipping if you spend $79 or more on in-stock items. 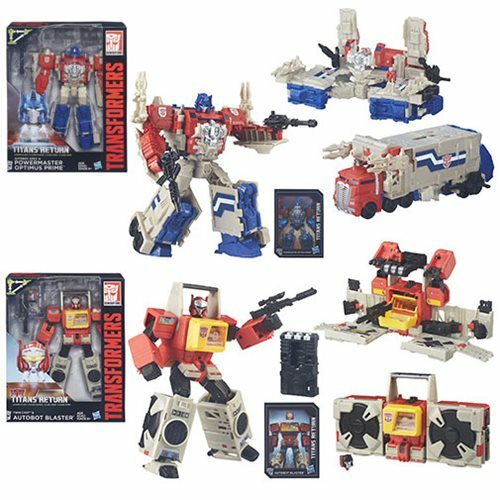 Also, pre-order Transformers Generations Titans Return Fortress Maximus from Entertainment Earth! 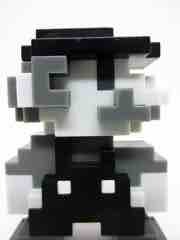 This week's 3DS offerings: BOXBOXBOY! and The Battle Cats POP!. And LEGO Star Wars: The Force Awakens. This week's batch of titles on the eShop: INVANOID and Prism Pets. 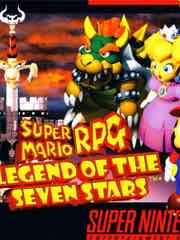 And Super Mario RPG: Legend of the Seven Stars. Up for the Nintendo Wii U retro library: Super Mario RPG: Legend of the Seven Stars from the Super NES. New! 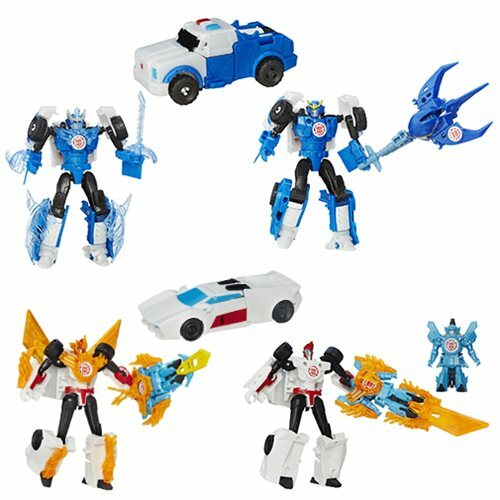 The Hasbro Transformers Generations Titans Return Autobot Blaster is part of the newest line of robots in disguise and they're showing up in stores as I write this. So read on, and come back tomorrow for more! 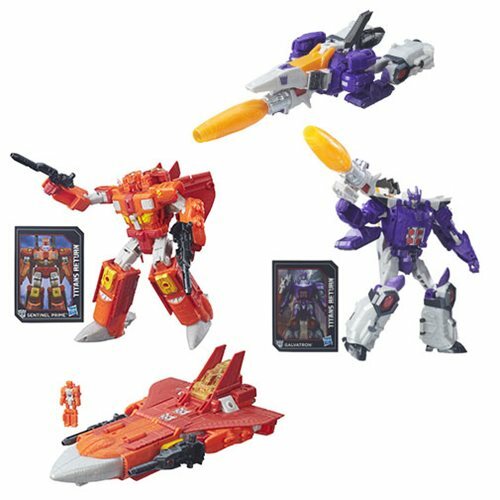 If you buy toys online, even more Titans Return Transformers Toys are shipping now. I got Wave 2 of Titan Masters in the mail last week, Voyagers are en route, and other stuff is starting to hit around town at stores, too. They're all lovely. 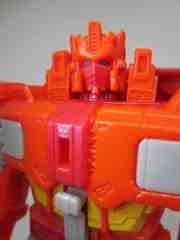 Click here to see Titan Masters Wave 2 images of the head modes on my Tumblr. It's worth it! 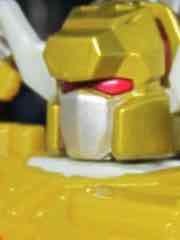 Clobber is Grimlock. 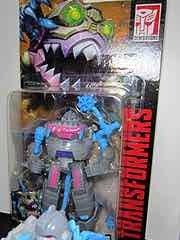 He'll make you angry that the last proper G1 "Classics" Dinobot toy was arguably Grimlock Classics 2006. (Platinums, shmatinums.) It's a redecorated/retooled Crashbash. 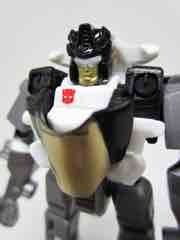 Skytread is Flywheels - and boy howdy, is he great. The Terri-Bull mold got new colors and a new faceplate, but that face sculpt is WONDERFUL. Also wonderful? Brawn. He looks gorgeous in person, but again, no unique body just yet. Customizers will no doubt make great use of these. His vehicle mode ain't bad, and the weapon mode is gnarly. I like it. Rounding out the set is the fantastic Apeface. A little gorilla becomes a little jet, and the tiny robot ain't bad either. The gun mode ain't bad either. 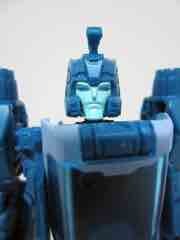 If you want to see all the wave 1 head modes on bodies, click that link - also on Tumblr. You should follow me. After you do, be sure to compare US Nightbeat with Japanese Nightbeat and be very, very amazed with what they can do with paint over there. Blurr is styled after the original toy quite nicely - his head Hyperfire is very much like the original Targetmaster Haywire. 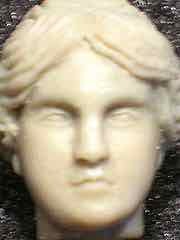 Other than the colors, the sculpted details are there. The "shield" can be worn as a backpack, the gun is nice, and I love the car mode with its tiny surprise wheels on the bottom. The coloring is very blue - very blue - but the figure itself is pretty sturdy and fun enough. Skullcruncher is fun but isn't perfect. A big part of the green body is pink plastic painted (perfectly) green, so be aware of possibly scraping it. 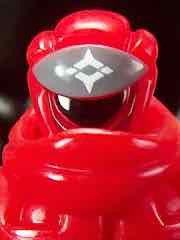 The trapdoor for the driver figure is a rubbery plastic, and it can be caved in upon purchase if you aren't careful. The hip joints on mine were a little loose, but it does stand and it's a ton of fun to transform - I love the arm articulation on the robot. I wish he had a little microphone. The head is strange, but that's the reason you've also got a Japanese release. 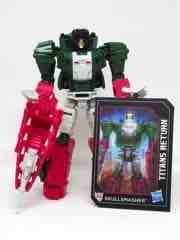 I also got G2 Bruticus, but we'll talk about him and probably the Voyagers in a few days. Purple! The Hasbro Transformers Generations Combiner Wars Shockwave is not all bad, and his "Action Masters"-inspired repaint just started shipping last week. So read on, and come back tomorrow for more! 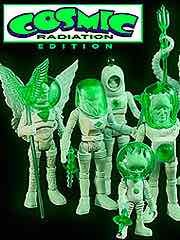 Via the Glyos News Dump: Cosmic Radiation Edition Outer Space Men Coming This Month. 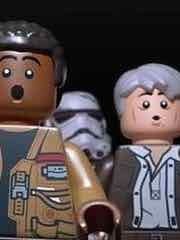 No exact date for the eight glow-in-the-dark figures was given, other than "3 weeks" on an Instagram post - which would, frighteningly, put it during the San Diego Comic-Con festiviies. Unless it's for sale at the show, in which case, that is also frightening. Orange! The Hasbro Transformers Generations Titans Return Sentinel Prime has three modes and a tiny removable robot head. So read on, and come back tomorrow for more! Via many: Prelude to Transformers: Combiner Wars - Victorion. It's another monologue, but hey, Victorion speaks for the first time here. 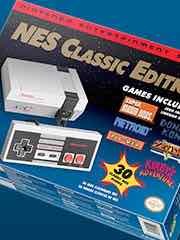 Ad: In stock now! 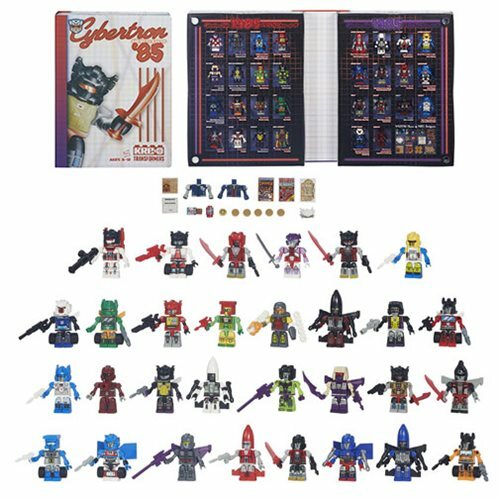 Get the Transformers Generations Titans Return and Kre-O Transformers Cybertron Class of 1985 Yearbook - Convention Exclusive before they run out! Several new (and hard-to-find) toys are up for grabs, so why not get yours? Order yours today - and get free shipping if your in-stock order totals $79 or higher! 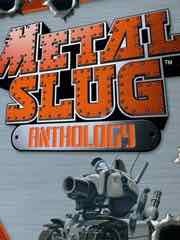 New to the Playstation 4 this week: Metal Slug Anthology, Romance Of The Three Kingdoms XIII, The Warriors, Lost Sea Original Soundtrack, Lost Sea, Furi, Energy Hook, Doodle God, and The Banner Saga 2. New PS2 classic games this week: PSYCHONAUTS. 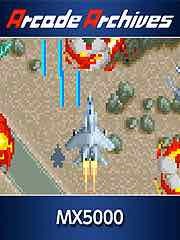 New classic games this week: Arcade Archives Formation Armed F.
New to the PSP Vita this week: Lumo. Tiny! 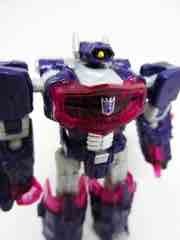 The Hasbro Transformers Robots in Disguise Legion Class Fixit is worth getting if you can still find one. So read on, and come back tomorrow for more! 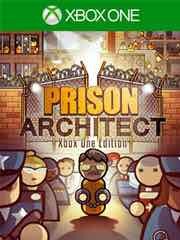 "In Prison Architect you will see the impact of your grand design on the lives of your inmates; be it a utopic center for rehabilitation, a brutal Super Max Prison or anything in between. Even when all of your prisoners' needs are met, remember one thing - it's still a prison and no one really wants to be there. Start your journey into the world of Prison Architect by playing through the Prison Stories (campaign). You'll quickly learn how to cope with blazing infernos, hostage situations and prison wide riots - if you make it through all that unscathed, the Mayor will be ready to give you the reigns of a brand new prison development where you can build the prison of your dreams." Also available: The Banner Saga 2, Dynamite Fishing - World Games, and The Incredible Adventures of Van Helsing II. 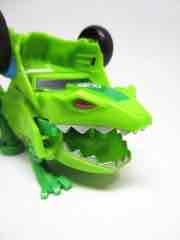 Frog car! 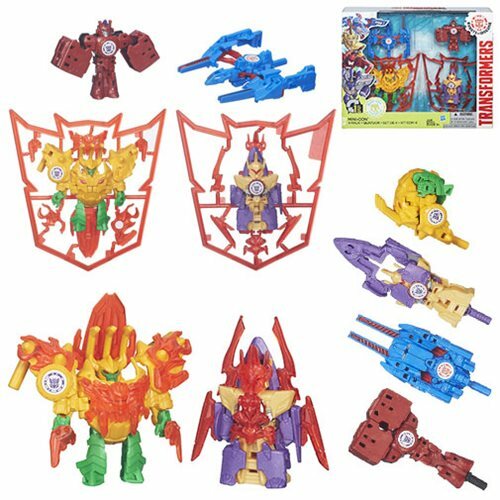 The Hasbro Transformers Robots in Disguise Legion Class Springload is a fun, weird toy that really isn't close to the cartoon model, or close to your expectations of what a typical car-to-robot toy may provide. So read on, and come back tomorrow for more! 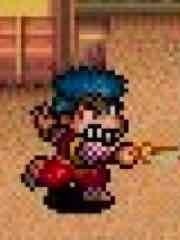 This week's 3DS offerings: The New 3DS retro library has The Legend of the Mystical Ninja from the Super NES. This week's batch of titles on the eShop: Steel Lords and Tap Tap Arcade 2. Up for the Nintendo Wii U retro library: Flying Dragon: The Secret Scroll and Baseball Simulator 1000 from the NES. The robo bow tie! The Hasbro Transformers Generations Combiner Wars Protectobot Groove is currently still rotting on pegs near you, no doubt slowing up the arrivals of Wheelie and Rewind, and also the future pegwarmer Stripes. So read on, and come back tomorrow for more! If you buy toys online, even more Even More Titans Return Transformers Toys are shipping now. I got Wave 1 of Deluxe and Legends and Voyagers, so are here are seven more quickie reveiws. Also there was a fire and I am typing with one hand and a finger, so yeah. Fun. Many typos. Rewind is the best of the first wave of Legends thanks to stability. Nice articulation, good weapon, beware of excess plastic in spots - I had to trim some. The labels on mine were pre-applid poorly, the manual hinted at one point the consumer would apply it. It fits in Blaster, but its lumpy form doesn't go in as easily as the slug iPod or Buzzsaw. The rolling tank wheels don't. Stripes is... present. Weird design, wonky transformation, and a lumpy smart phone mode make it difficult to insert in Blaster. Jet mode is the best, but it seems all Titan Master compatibility - pegs and slots - was engineered out. Don't make it a priority. Adequate with a good robot mode and unstable car is Wheelie. The tabs and slots fall apart easily, and I can't get a Titan Master to ride in the car seat without half-changing him to robot mode. Love the robot, nice deco, looks great with GDO Wheelie Slingshot. His wheels are clear smoke color. Hardhead is better than I thought in most respects. 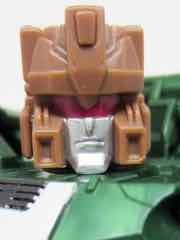 For starters there's a bobble head connection between the Furos head and Hardhead socket. Scourge has the same issue. Otherwise, Hardhead has big arms, a nice transformation, and lots of places to seat or stand the little Titan Masters. 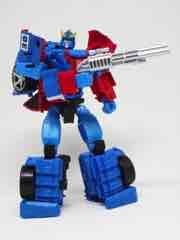 On vehicle mode, he can easily carry 7 total - more than most other figures other than Fortress Maximus. It's neat, but not as good as Blurr. The head connector could use a fix. Scourge is good, but strange. The shellformer aspects are mostly negated, and I love the compartment for Fracas in space boat mode. The coloring is a little bland in bot mode, but it is fantastic as a space vehicle. Surprise 5mm portholes can hold his new gun on the sides quite nicely. Galvatron will satisfy the itch for an improvement over the 2008 version, but the mask and head alone will make you hope for a Leader or Masterpiece down the road. The jet mode is weird, but the cannon is adequate. Nice robot, but I expect a great many third party heads down the road. His shoulder pads get in the way of many poses, but you can probably get around this with patience and futzing. G2 Bruticus is gorgeous. 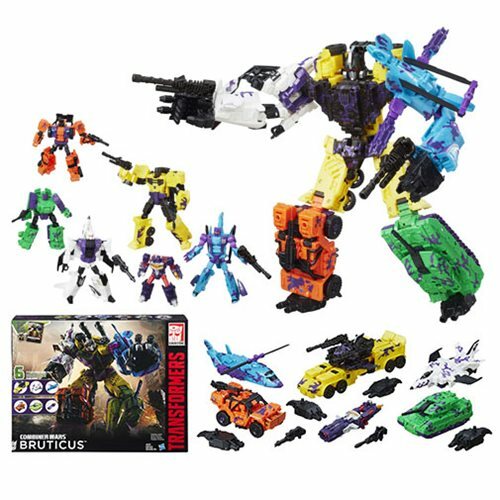 Bright, cheery, fits together nicely, and has botched Bruticus knee assembly. It also sports G1 symbols, but makes up for it with rich purple metallic paint and a colorful look you won't see elsewhere. 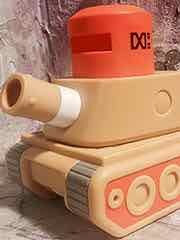 Via the Glyos News Dump: New Banimon - Desert Edition. Figures and tanks are (were) in stock at press time. 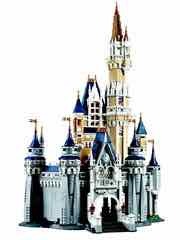 Via WDW News Today: PHOTOS: Lego to Release Official Cinderella Castle Model at Disney Parks. 4080 pieces for $349.99 makes it a decent deal - and odds are it'll be a small fortune as soon as production ends down the road. Threedom! 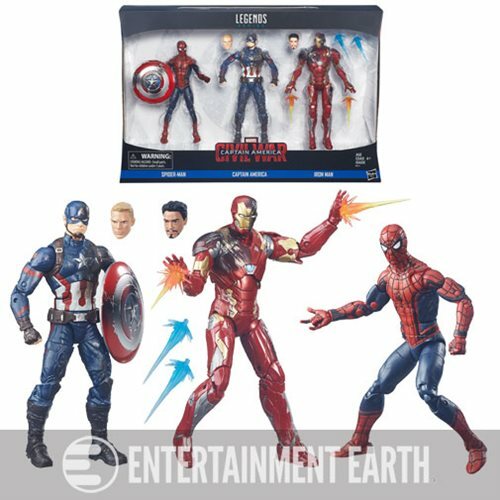 The Hasbro Captain America Civil War Spider-Man, Captain America, and Iron Man Action Figures is the debut of MCU Spider-Man as a toy. So read on, and come back tomorrow for more! 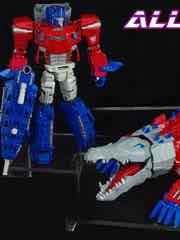 Via eBay: Details about ALLIGATICON - Gator Optimus Prime - Deluxe Custom Transformer . Cheetimus does some of the best customs in the business, and this is one many of us were dying to see as a real toy. The custom shall do. It's $100 and live now. Fast! The Hasbro Transformers Generations Titans Return Blurr is one of the fastest cars in the world of science fiction, and a nice toy to boot. The gimmick turned out very well and the sculpting is true to the original inspiration. So read on, and come back tomorrow for more! Via Nanite and Spanky: James Groman x Toy Art Gallery - "Yellowback" B.C. BLASTER mini-figure release. .
$50 for 1 or $185 for 5 vinyl dinosaur figures complete with our weapons and usual mechanics of the late 1980s. They go on sale today at noon. New to the Playstation 4 this week: Assault Suit Lemnos, Daydreamer: Awakened Edition, Dex, Ghostbusters, Kerbal Space Program, Kill Strain, Last Wings, Militant, Super Mutant Alien Assault, Type:Rider, Militant, and Videoball. 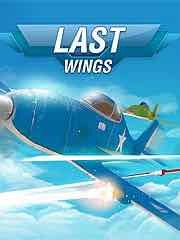 New to the PSP Vita this week: Last Wings, Type:Rider, and Panda Run. Froggy! 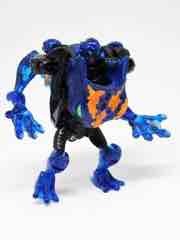 The Kenner Beast Wars Transformers Spittor is really, really weird. So read on, and come back tomorrow for more! 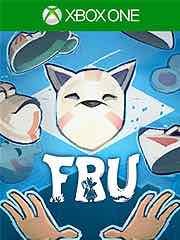 "FRU is a puzzle platformer that features an innovative use of Kinect, in which your silhouette becomes a �portal� between two worlds. You will find yourself solving puzzles by strategically positioning your body, combining physical interaction with traditional platforming. Be precise, be careful, take on a funny pose, but most importantly, be creative with your body! Every level can be solved in multiple ways, with different poses. What sort of creative solutions can you come up with?" Also available: The Solus Project, Pharaonic, KYUB, and VIDEOBALL. Optimus Rex! 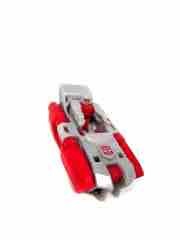 The Playskool Transformers Rescue Bots Optimus Prime is a bizarre robot toy that is reshipping as we speak. So read on, and come back tomorrow for more! Via Hasbro PR and my Tumblr: TRANSFORMERS SOUNDWAVE Tablet. $39.99 at SDCC, also coming to Canada Fan Expo. Via many: Relive past glories with Nintendo's ultimate retro gaming experience. $59.99 in November, this game console includes 30 pre-loaded video games. 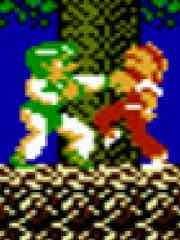 Bubble Bobble, Castlevania, Super Mario Bros., Zelda, and many others are included. The game controllers connect through a poor similar to that on the Nintendo Wii remote. This sort of thing most likely was years in the making, so when might assume that it was recent stock woes are the reason we are finally seeing this. Along with Pok�mon Go, Nintendo no doubt expects a very good holiday season with a fantastic stock price. This week's 3DS offerings: Journey to Kreisia. 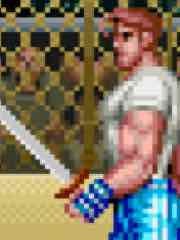 The New 3DS retro library has Final Fight from the Super NES. This week's batch of titles on the eShop: Tumblestone, Chroma Blast, JACKPOT 777, and REPTILIAN REBELLION. 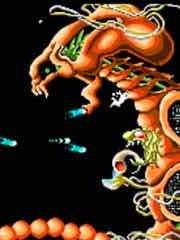 Up for the Nintendo Wii U retro library: R-Type, Bonk's Adventure, and New Adventure Island from the TurboGrafx-16. 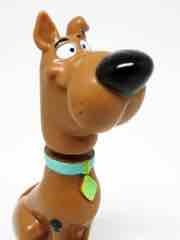 Comes with Scooby snacks! The Sonic Be Cool Scooby-Doo! Bobble Head is a nifty freebie. So read on, and come back tomorrow for more! 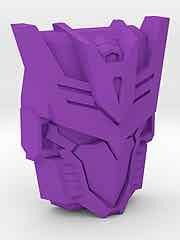 If you like 3D printed customs, check out the Octavirate Forge Titans Return Faces. 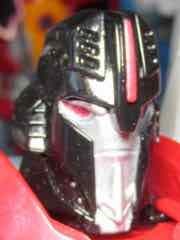 Faces inspired by Rescue Bits and IDW - like Tarn - can be yours for five bucks. There are also many other fine items, which are arguably all worth checking out. 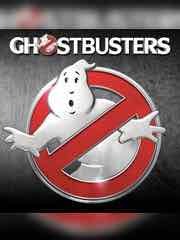 Via FiveThirtyEight: �Ghostbusters� Is A Perfect Example Of How Internet Movie Ratings Are Broken. 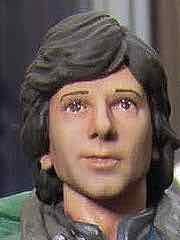 Numerous ratings of a movie unseen by the masses are an interesting thing to contemplate - I remember seeing numerous toys rated on a fan site years ago, several months before the first one shipped. Similarly people rate movies and TV they don't see and will never see, which is something you no doubt know by now. Some shows aren't for everybody - for example, I doubt anyone reading this was meant to like Dora the Explorer at their current age. Hsbro gives you head! Heads. The Hasbro Transformers Generations Titans Return Loudmouth is Loudmouth, or wrong color Nightbeat. So read on, and come back tomorrow for more! Via TF YUKI on Twitter: Transformers Legends Unofficial Base Modes. Yes, more of them - Skullcruncher and Galvatron now have base modes, because TF YUKI has deemed it so. I haven't tried these myself yet, but I look forward to trying it. Via CBR: 'Captain Power' Reboot Series in Development, Heading to SDCC. 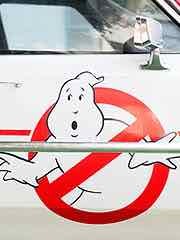 Captain Power will be rechristened "Phoenix Rising". For those of you not old enough to remember, the TV show tied in to the toy line through interactive electronics. Toys should "shoot" the TV show, and the TV show could send signals so the toys would be "damaged." It was a really clever idea at what was basically the end of the 1980s toy/TV marriage, but it didn't last very long and few seem to remember it. It was, however, a thing that was heavily requested for a revival. 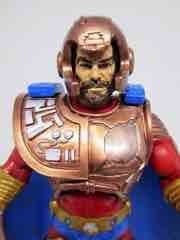 For those keeping track, most of the 1980s toy brands you remember are getting snapped up one way or another. Well, some are. Dino-Riders is supposedly optioned for a movie. Classic! The Jakks Pacific World of Nintendo 8-Bit Classic Mario Action Figure takes the NES sprite and colors it like the GameBoy Super MarioLand version. So read on, and come back tomorrow for more! Come back tomorrow for more - or order yours now! 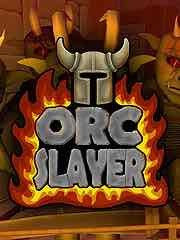 New to the Playstation 4 this week: ORC SLAYER, SWORD COAST LEGENDS, NEVERWINTER, MOON HUNTERS, LIFELESS PLANET, KNOT, I AM SETSUNA, CAST OF THE SEVEN GODSENDS � REDUX, and 10 SECOND NINJA X. 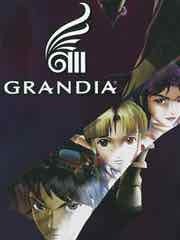 New to the Playstation 3 this week: New PS2 classic games this week: GRANDIA III. 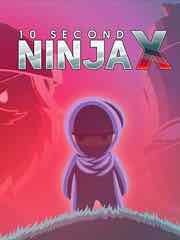 New to the PSP Vita this week: 10 SECOND NINJA X. New PSP games include: RETRO CITY RAMPAGE DX. Star Trek Beyond Was Great! Smokey! The Hasbro Transformers Generations Combiner Wars Smokescreen is Prowl and (shh it's a secret) also Bluestreak. So read on, and come back tomorrow for more! Ad: The Star Wars The Black Series Astromech Droids 3 3/4-Inch Action Figures - Entertainment Earth Exclusive is up for pre-order right now and includes Free Shipping in the USA! Articulated feet! Drinks! Click here to see more and pre-order yours now! 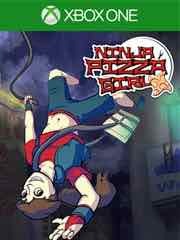 "Ninja Pizza Girl is a supreme platformer with a deep-dish message, featuring an old-school action platformer vibe, a dedicated speedrun mode, and comic cutscenes hand drawn by an authentic teenage girl. Its deeply-woven story follows Gemma, a sixteen-year-old girl working as a pizza delivery ninja for her father�s independent Pizzeria. In a world where slums teeter on top of skyscrapers, where powerful mega-corporations exploit the poor and where quality pizza is hard to come by, Gemma must fight to keep her ideals, her family and their business intact in face of the most merciless enemies known to any teenage girl � other teenagers." Also available: Maldita Castilla EX � Cursed Castile, Cast Of The Seven Godsends � Redux, 10 Second Ninja X, and Sword Coast Legends. 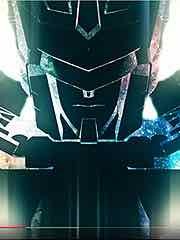 MTMTE to be renamed Lost Light! 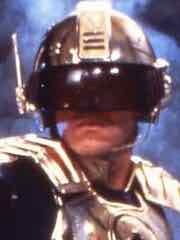 Like Orbitron! 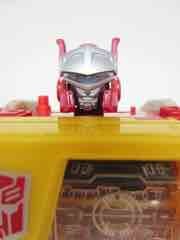 The Onell Design Glyos Crayboth Diversus is a sidekick that you just can't miss. So read on, and come back tomorrow for more! the Hasbro PR breakfast: Transformers Generations Liokaiser. This Entertainment Earth exclusive is due out later this year. Other highlights: Sawback (Lione), Overboard (Overkill), Gnaw, Bumblebee, Megatron, and confirmation of Walgreens Brainstorm. 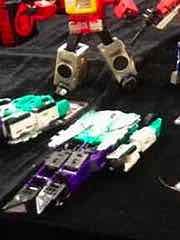 Courtesy of a box shot of Megatron, we also now know we're getting Fangry, another Optimus Prime, Triggerhappy, and Sixshot if you were in denial of previous leaks. More on this stuff later, but I can confirm Bumblebee was designed to have a Titan Masters pilot. Due to exhaustion and meetings, updates are going to be slow. See you next week. This week's 3DS offerings: Defend Your Crypt and Ninja Smasher!. 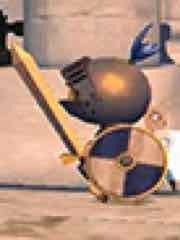 The New 3DS has Wind-up Knight 2. This week's batch of titles on the eShop: Buddy & Me: Dream Edition, Defend Your Crypt, Defend Your Crypt, and Humanitarian Helicopter. 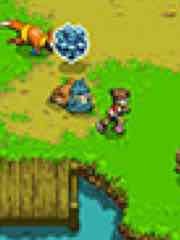 Up for the Nintendo Wii U retro library: Pok�mon Ranger from the Nintendo DS. The lost galactic protector! The Mattel Masters of the Universe Classics Darius is a recent release that you can probably do without. So read on, and come back tomorrow for more! Via SDCC: Hasbro Collector/Fan Breakfast Titans Return Transformers Toys. 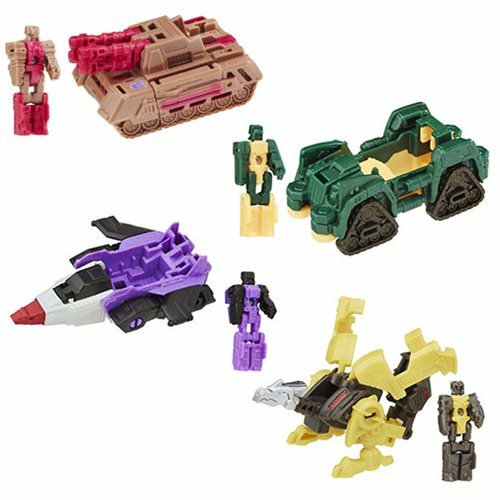 Aside from the previously-seen Liokaiser, Hasbro debuted Legends-class Gnaw and Bumblebee - both required updates for you - as well as Titan Masters Sawback and Overboard. 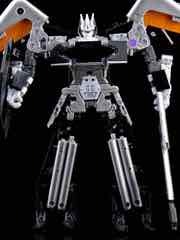 The Walgreens-exclusive Brainstorm was shown (a toy-based redeco of the SDCC exclusive) as was Voyager-class triple changer Megatron. It looks like many of the non-exclusives are set for around January, with Brainstorm being either August or November - probably November. More from SDCC tomorrow! Via Keshi Drop: Super7 Shows Off Street Fighter MUSCLE At SDCC! I saw these in person, and they're gorgeous - there will also be ALIEN, Ghosts & Goblins, and other properties in addition to the existing Masters of the Universe. Capcom's properties combined with the classic Kinnikuman figure proportions are just perfect - and I hope the final product nails the pink just right, too! Freeze! The Hasbro Marvel Legends X-Men Iceman is a new version of one of the most famous mutants... outside the movies. So read on, and come back tomorrow for more! 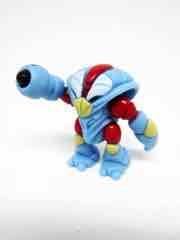 Via the Glyos News Dump: Ninja Wrap - Wednesday Onell Design Drop. 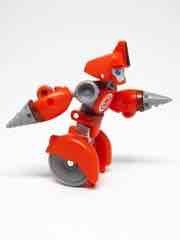 At least 3 new figures and some RoboForce weaponry are up for grabs, and goodness knows what else. Be there at 9:30 PM Eastern! Via SDCC: Hasbro Collector/Fan Breakfast Robots in Disguise Transformers Toys. More He-Man - Super7 "The Curse of the Three Terrors"
Via YouTube and presumably Super7: The Curse of the Three Terrors! This was sold at the show on VHS (really) and projected on a building in downtown San Diego, giving you about 10 new minutes of 1983-esque He-Man animation. 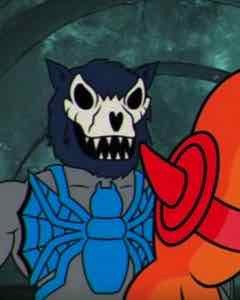 Alan Oppenheimer - who voiced Skeletor and Mer-Man and others - is back to lend his pipes to some of his more famous evil warriors over 30 years after the show stopped getting new episodes. The animation isn't quite the same as the original Filmation He-Man and the Masters of the Universe, but the old character designs are very similar and the new guys - of which toys were sold in San Diego - aren't bad. Give it a few minutes, it's a nifty tribute to a classic cartoon. Chompz! The Hasbro Transformers Generations Titans Return Skullsmasher is an update of the newly-titled self-hating Decepticon, Skullcruncher. So read on, and come back tomorrow for more! Via SDCC: Pop Culture Shock American Werewolf and The Thing! Nifty new action figures from two of the 1980s' most beloved creature features. PCS is known for mostly bigger, higher-end items and the fact that it's powered by former SOTA personnel - in other words, good people who work hard on this stuff. You'll want to see these. 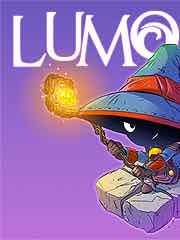 New to the Playstation 4 this week: BLUE RIDER, CHAMBARA, DUNGEON PUNKS, FAIRY FENCER F: ADVENT DARK FORCE, HEADLANDER, HYPER LIGHT DRIFTER, MARVEL: ULTIMATE ALLIANCE, MARVEL: ULTIMATE ALLIANCE 2, MUTANT MUDDS: SUPER CHALLENGE, RIPTIDE GP: RENEGADE, and TUMBLESTONE. New classic games this week: ARCADE ARCHIVES MX5000. 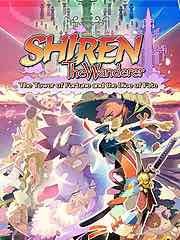 New to the PSP Vita this week: SHIREN THE WANDERER: THE TOWER OF FORTUNE AND THE DICE OF FATE, MUTANT MUDDS: SUPER CHALLENGE, and A.W. : PHOENIX FESTA. Clear duck! 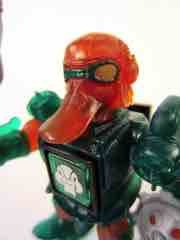 The Takara-Tomy Beast Saga Dacker Burst Action Figure is a largely unpainted and mostly green clear duck action figure. So read on, and come back tomorrow for more! 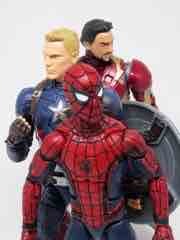 Via SDCC: Hasbro Marvel Legends! The B from Apartment 23 joins Khan, Groot, Deadpool, and even a retro Dazzler in one of the most popular action figure lines going right now. Heck, even Angela is here. Via the Glyos News Dump: Glyos Onell Design July 27 2016 Drop Menu. New figure parts are here! The Glyninja Clan makes its debut, plus we're seeing new skeletons, Crayboth, an Armorvor, and of course more. Check it out! 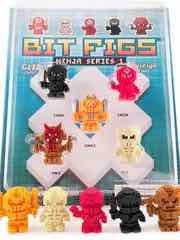 Via Onell Design: Bit Figs: Ninja Series 1 . They will be sold in vending machines and, presumably, in sets online by people. At least two series are known. Ninjas and an Animal Series complete with Pup, Kit, Bun, Pig, and Duck are all on the way. Chase figures are painted, and there are many colors - so if you're me, you're thinking about buying a sack of the things and calling it a day. 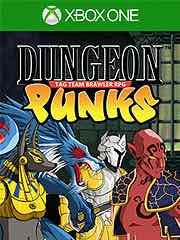 "Dungeon Punks is a fast paced Action RPG with a unique Tag-Team fighting system and Local Player vs. Player Brawl Mode. Adventure awaits whether you�re going solo, playing with friends, or beating each other to a pulp in one of the many battle arenas! Total mayhem is bound to break loose as you blast your enemies senseless with crazy magical spells and custom combo attacks." Also available: Action News Heroes, Minecraft: Story Mode � Episode 7: Access Denied, 10 Second Ninja X, and Sword Coast Legends. With Outer Space Men parts! 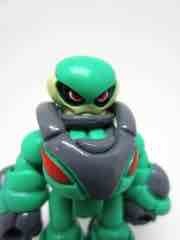 The Onell Design Glyos Protoclone Marezioc Guard was a real surprise, especially given his blasters and staff. So read on, and come back tomorrow for more! Via the Autobase Aichi Twitter: Transformers Generations Sixshot. 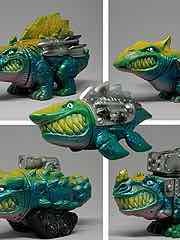 This is an upcoming Leader-class toy, and was shown along with Platinum Unicron, Legends Gnaw, and some other goodies we've seen already. Yes, including Liokaiser. This post has some more images, and there should be more things shown as the weekend goes on. I assume. Also Rodimus, Kickback, Optimus Prime, Fangry, Ptero, and others are there to see. Via the Autobase Aichi Twitter: Astrodite: Yup, Still Coming. When? 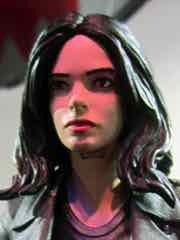 No idea, but she was revealed a couple of years ago and we've had a few teases that new things are coming. And this is certainly new - the only newly-sculpted and unreleased something that we know about. This week's 3DS offerings: Gotta Protectors. 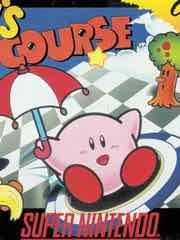 The New 3DS has Kirby's Dream Course. This week's batch of titles on the eShop: Vektor Wars, 3Souls, Dracula's Legacy, and BLOC. 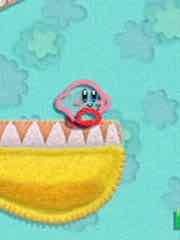 Up for the Nintendo Wii U retro library: Kirby's Epic Yarn from the Wii and Kirby Mass Attack from the Nintendo DS.